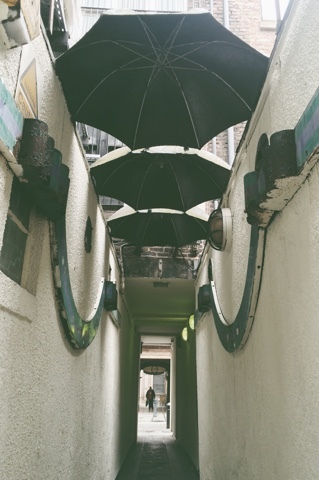 Ever since I was a little girl I've always loved this little alley way leading to King Street in Manchester, a little more rough around the edges these days but those umbrellas always make me smile. Restaurants on King Street are my always a treat to visit! 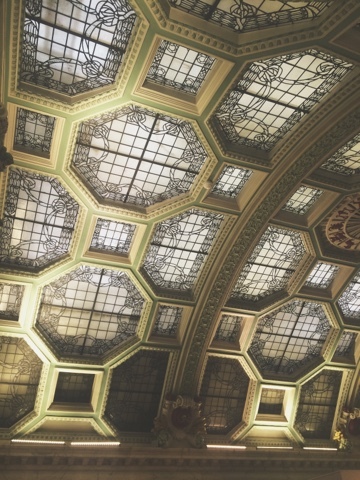 A lot of them have kept the original features from when they were once banks and they are b-e-autiful. I would happily wear the glass roof in Zizi's as a dress pattern. 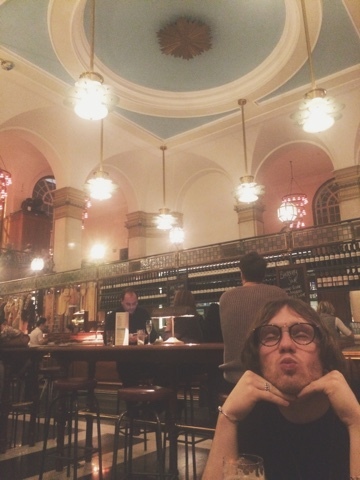 The photo in Jamie's Italian is one of my favourites. Partly because it features one of my favourite people, my boyfriend Joe and partly because the ceilings in there are a dream! The colour scheme reminds me of a Wes Anderson film, sweet pinks and powder blues. It's a yes from me. 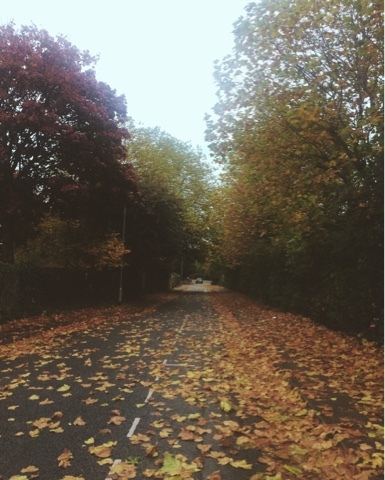 I've already featured this photo in a post but I adore it because it perfectly sums up Salford in Autumn. The only time of year the city looks vibrant (sorry Salford, I love you but sometimes you just aren't kind on the eyes). Northern Quarter buildings. They're underrated. 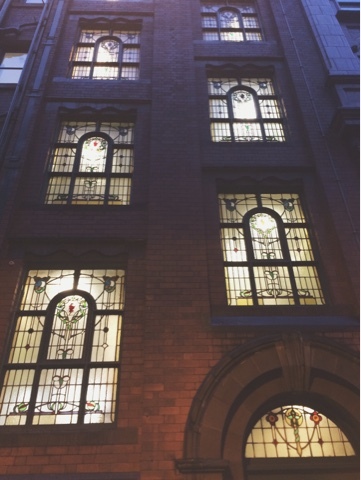 In particular these stain glass windows along Dale Street. This for me was a pretty unreal photo to take. 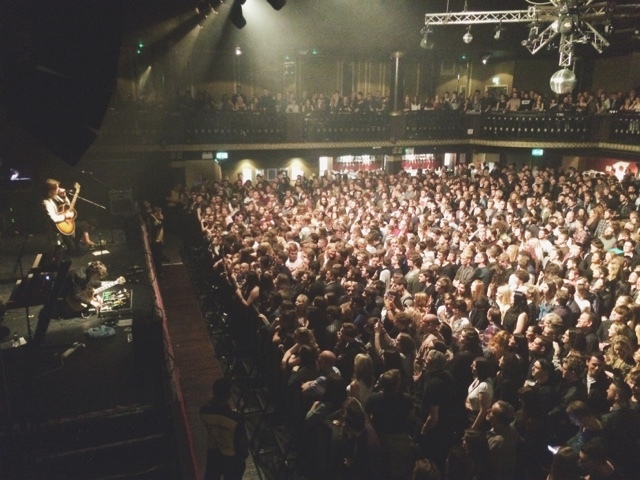 It's my boyfriends gig at Ritz Manchester. The crowd were totally amazing and I don't think I've ever felt so humbled, proud and overwhelmed all at once. Super happy memory. 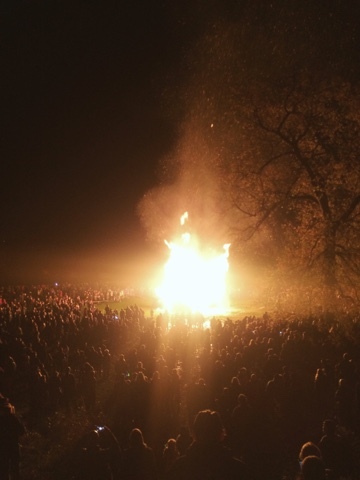 Bonfire night at Brabyns Park in Marple! One of my favourite times of year, in one of my favourite places. Marple is my home town, so it's always super nostalgic to go back there and I don't do it enough. I had my sheepskin mitts on and a hot apple cider in my hands, I was in absolute heaven. 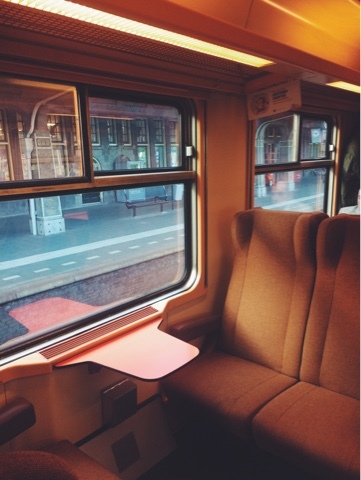 The train from Amsterdam to Antwerp. What. A. Dream. It was like walking into the seventies. Red and yellow walls and burnt orange seats, again the retro vibes on this train completely reminded me of a Wes Anderson set up. Why oh why aren't the trains in England more like this? 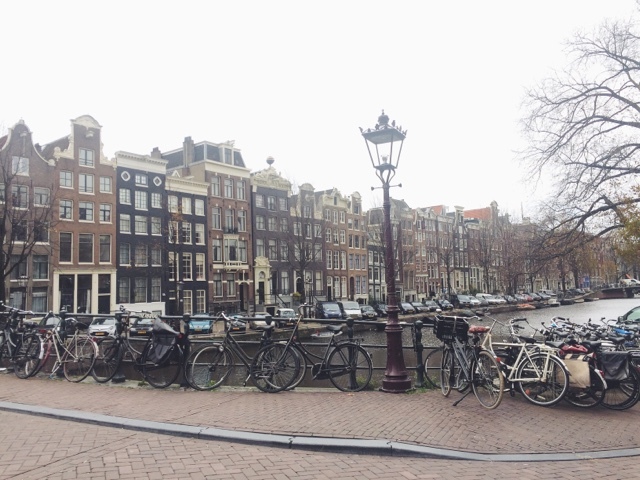 Amsterdam, lovely Amsterdam aren't you a pretty little thing! I wasn't there long but I adored it. 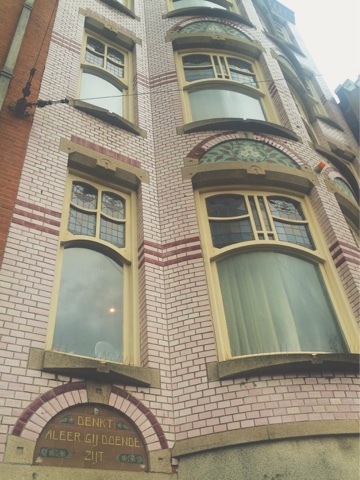 The squashed up houses brought to mind battenburg cake, tiny squares in pastel colours. 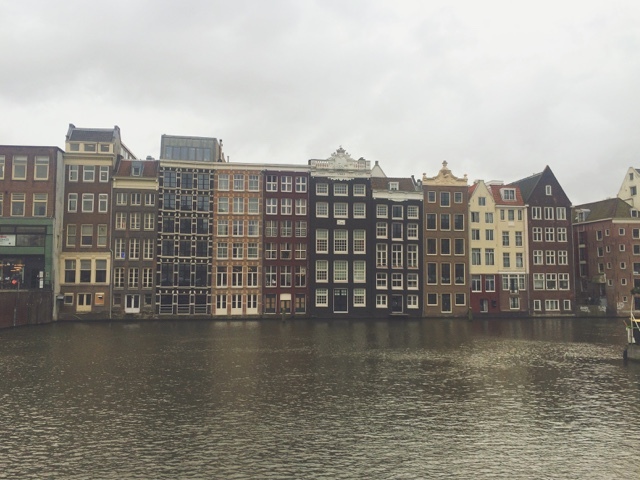 My number one favourite was the marzipan looking building in my last photo. Totally inspiring!